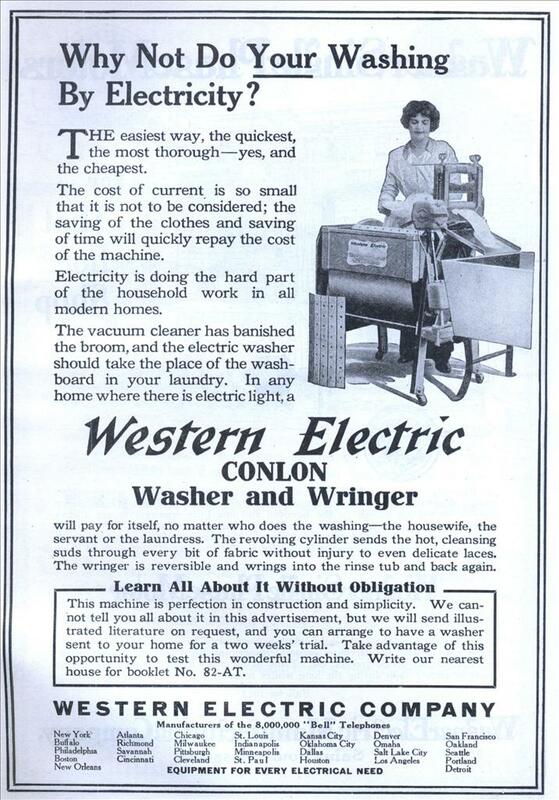 Why Not Do Your Washing By Electricity? THE easiest way, the quickest, the most thorough—yes, and the cheapest. The cost of current is so small that it is not to be considered; the saving of the clothes and saving of time will quickly repay the cost of the machine. 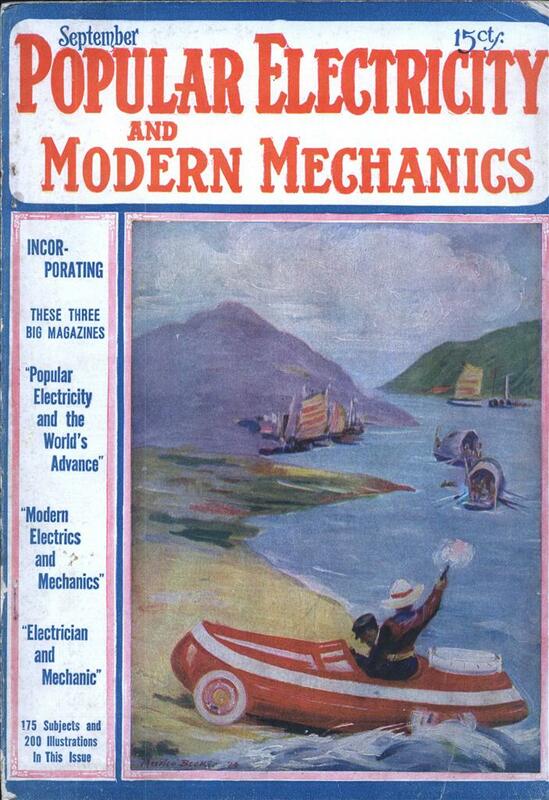 Electricity is doing the hard part of the household work in all modern homes. The vacuum cleaner has banished the broom, and the electric washer should take the place of the washboard in your laundry. In any home where there is electric light, a will pay for itself, no matter who does the washing—the housewife, the servant or the laundress. The revolving cylinder sends the hot, cleansing suds through every bit of fabric without injury to even delicate laces. The wringer is reversible and wrings into the rinse tub and back again. Learn All About It Without Obligation This machine is perfection in construction and simplicity. We cannot tell you all about it in this advertisement, but we will send illustrated literature on request, and you can arrange to have a washer sent to your home for a two weeks’ trial. Take advantage of this opportunity to test this wonderful machine. Write our nearest house for booklet No. 82-AT. I wonder if the washing machine also gives a “busy” signal? No, but it runs UNIX. Toronto: What? You mean that it isn’t using CP/M? I wish more details on the user interface, usability, connectivity and such. This later model is much more streamlined, compact and completely made of recyclable materials.